You must have heard of the Jewish Diaspora. 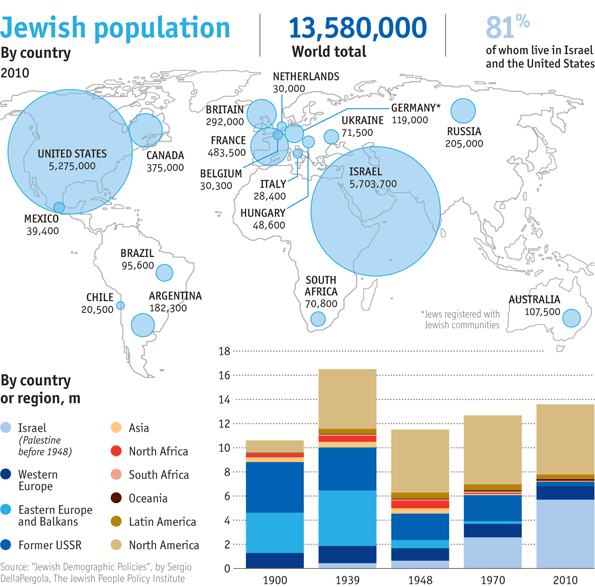 The Economist has an insightful graphic on the geographic spread of Jews. Obama: The Underachiever. (Outlook) I think the guys at Outlook wanted to pay back to TIME magazine guys for carrying a cover feature on the Indian Prime Minister titled, 'The Underachiever'. The article on YAHOO was enlightening ! Apt title !